Facelift P1 cars have LED rear brake lights which sometimes can go dim or stop working altogether. 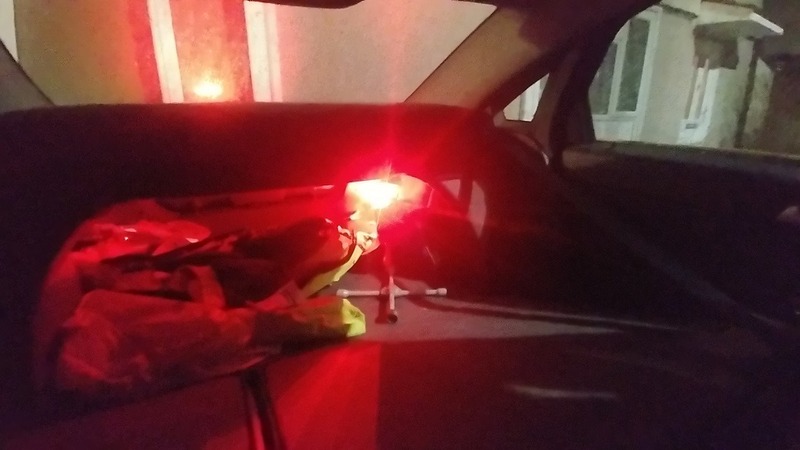 There is no warning message to alert you of a failed LED brake light. So check if MOT is coming up! This is because the rectifier diode on led circuit board goes bad. To fix it you just need to remove the old one with a soldering iron and fit a new one in place. 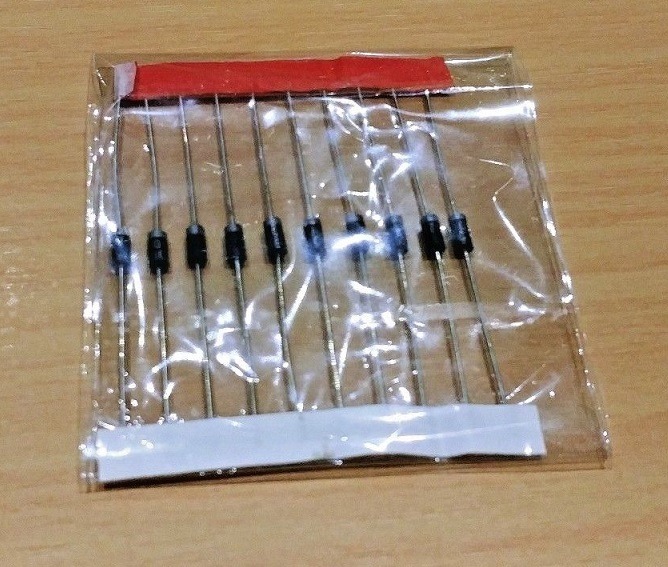 Pack of 10 diodes costs less than £2. However, access to the circuit boards varies depending on which P1 model you have. V50 is much easier, as the circuit board can be removed without opening the light cluster. For S40s however, you will need to open up the light cluster. 1. Remove the light cluster from the vehicle. There are 4x 10mm bolts (you will need to pull back the rear boot lining). 2. 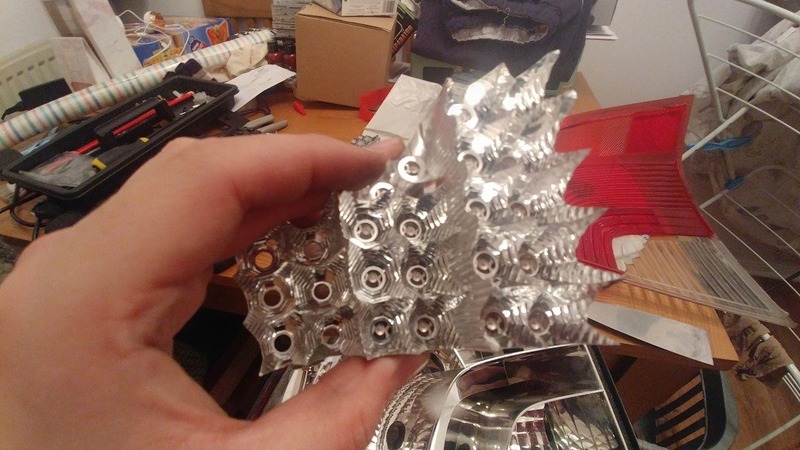 Using a heat gun/hair dryer, warm up the around the edges. 3. Pry the front clear plastic carefully, don't use a screwdriver as you will likely crack the plastic. Try using something like a scraper or putty knife etc. 4. Now, with the front clear cover removed, the way to access the circuit boards is by releasing the Led reflector block. 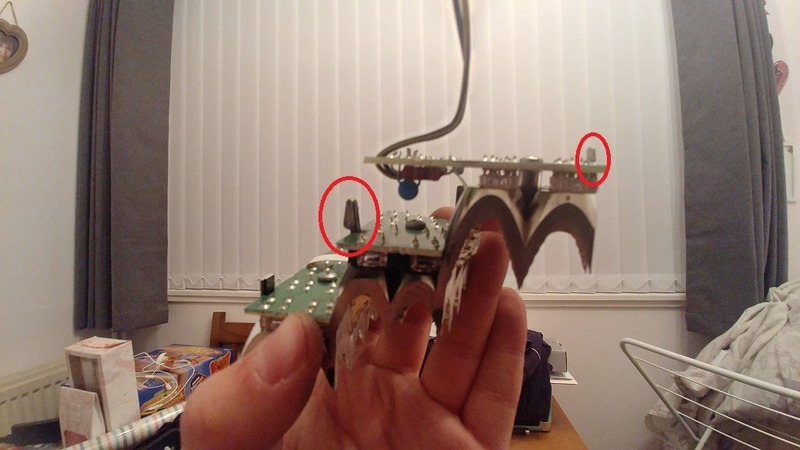 On the rear of the light cluster (next to the only exposed section of circuit board), you will notice a silver clip, and another one opposite but is recessed deeper into the moulding. Release these clips by gently prying them inwards (towards the circuit board), whilst pulling on the LED reflector block around the front. 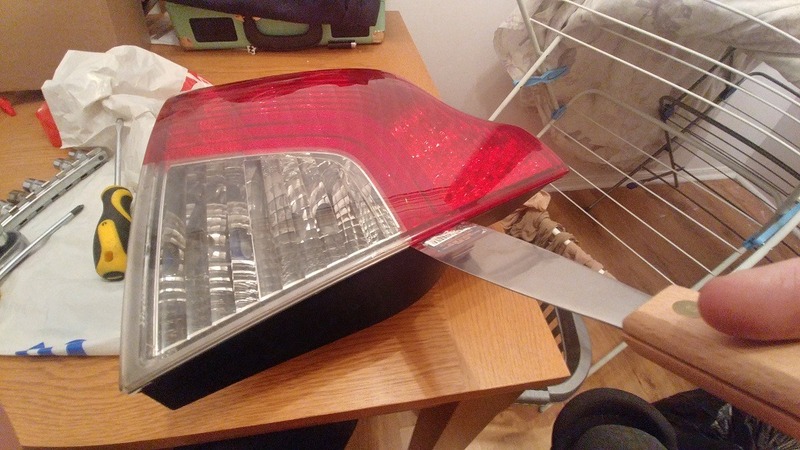 The LED reflector block is suprisingly sharp so be careful! Now that you are at this stage, it's just a case of unsoldering the old diode and fitting a new one. 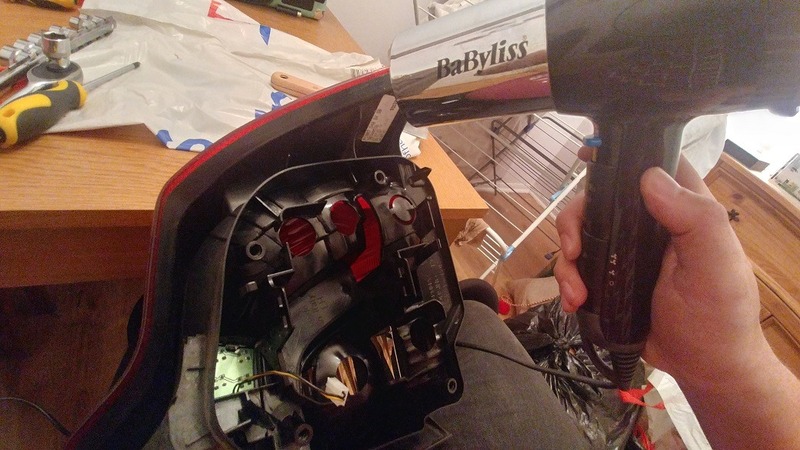 Once you've done your soldering, quickly test by take your little string of circuit boards back to the car and plug it back into the connector. If you flip down your rear seats you can see immediately whether they are now working without needing a second person to tell you. IF all ok, reassemble the light cluster using some glue/sealant to seat the plastic lens over the light cluster. 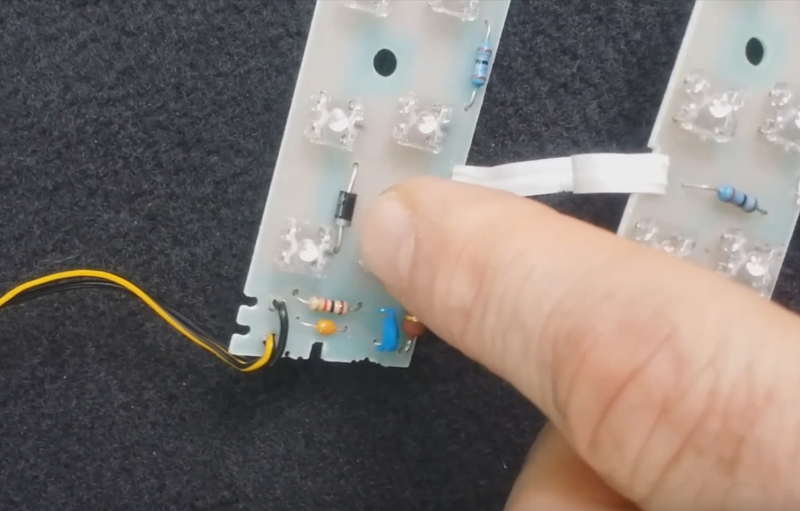 For the V50, please watch the below video from Youtuber Chris Mitchum showing the process. Last edited by T5R92011; Feb 10th, 2019 at 00:31.